Sophia just moved into her first apartment for her junior year at University of California San Diego. When her Dad and I visited in June I offered to make her a quilt. 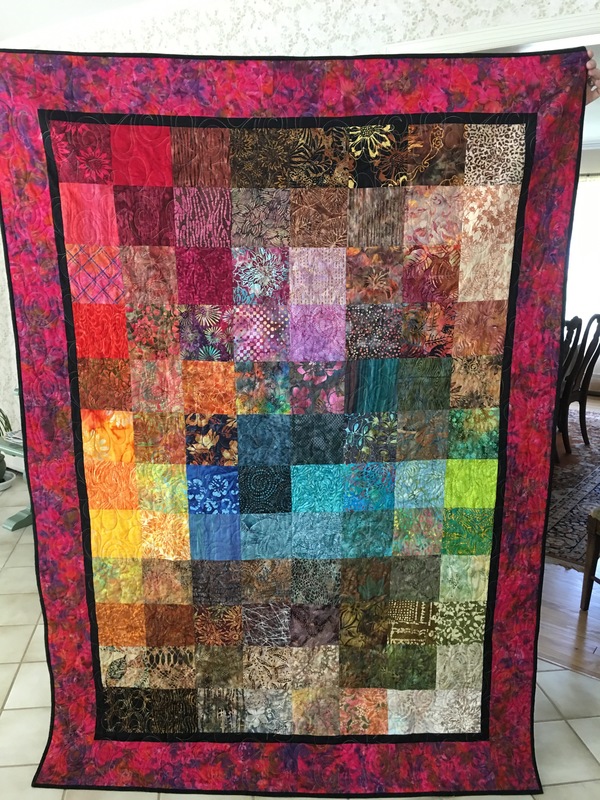 She had mentioned that she would like something colorful, and I took her to Rosie’s Quilted Cupboard so she could pick her own border and back. I used various batiks, most bought in Barcelona this spring, but with quite a few from my travels this summer. 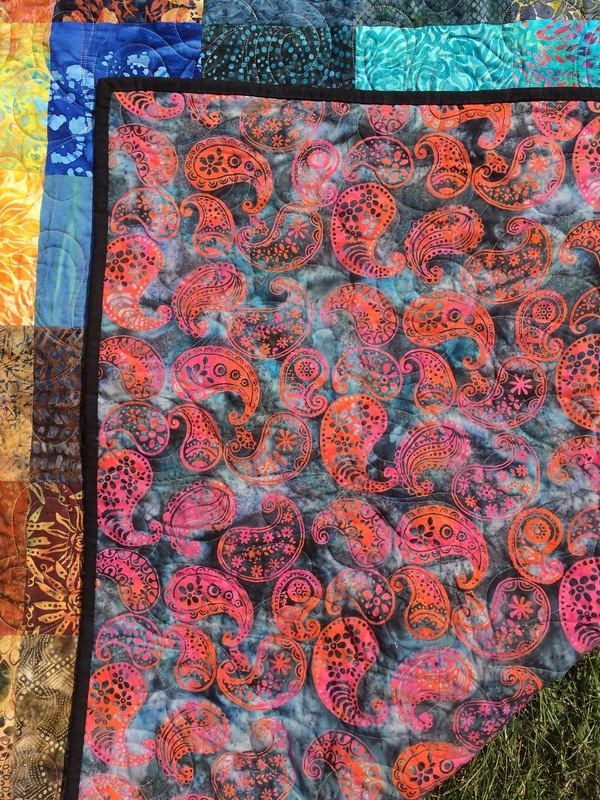 I loved this quilt as it was going together so I cut a bunch of batiks to make another. Or two. Sophia picked the border to make sure she got that burst of color she wanted. I really wanted a painterly, color washed effect. 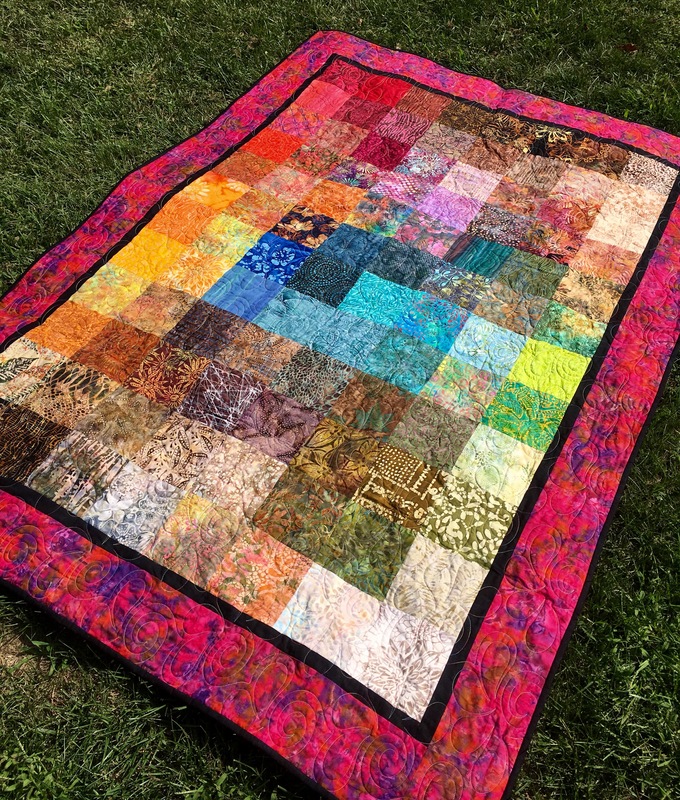 The sewing was easy, given the quilt is made of 6″ squares. Picking and organizing the fabric was a lot of fun – I could have kept going but I only wanted it to be a lap quilt size. The back is a grey batik with pink and orange bandana shapes. It ties to the front border well and is a lot of fun. 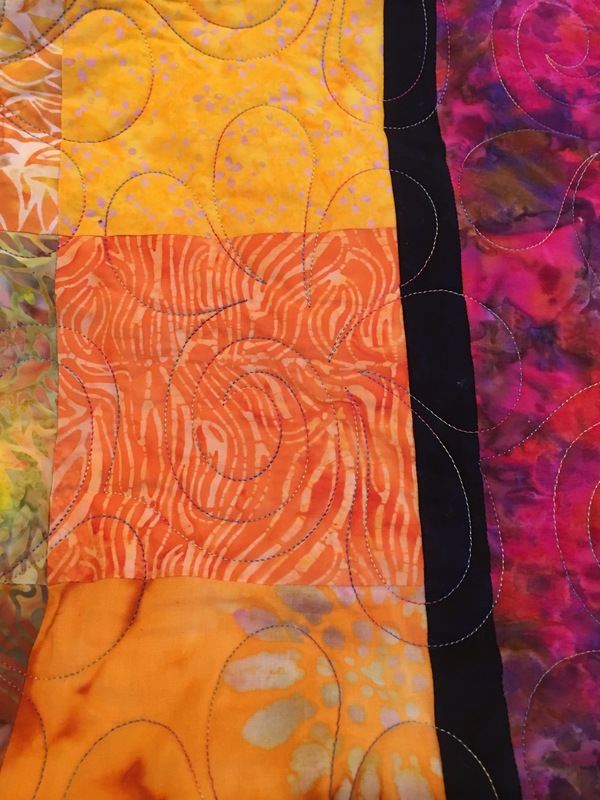 The quilting is a pantograph called Blissful that I did on my HandiQuilter with my Prostitcher. Blissful because that is our hope for her junior year. I used a variegated Wonderfil thread. I am really glad I used the variegated thread instead of the grey I was originally planning. This is really lovely. The colours and fabrics really make a simple design sing.